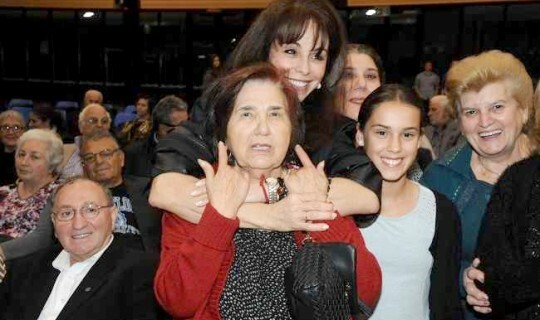 Greek Melbournians had the unique opportunity to meet and greet Olympic gold medallist and Vice-Governor of Metropolitan Thessaloniki Ms Voula Patoulidou in a series of community events organised during her recent visit to Melbourne. The Greek Community of Melbourne in collaboration with the Pan-Macedonian Association of Melbourne and Victoria and the Australian Institute of Macedonian Studies organised an exclusive event with Voula Patoulidou on Thursday 24 March, at the Alphington Grammar School. More than 300 people including representatives of various community organizations had the opportunity to talk and take photos with the gold medallist and to listen her presentation on Tourism as well as her experiences as an athlete. 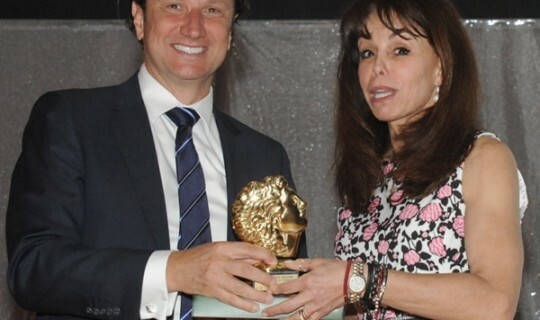 The President of the Greek Community Mr Bill Papastergiadis welcomed Ms Patoulidou to Melbourne and spoke of her determination to be a successful ambassador for Greece in both in areas of athletics and tourism. In turn, Ms Patoulidou spoke about her childhood and the challenges she faced as a young athlete in regional Greek. Despite the lack of infrastructure in regional areas of Greece, she discovered that apart from natural talent what is fundamentally required is ‘dedication and hard work’. As president of the Thessaloniki Tourism Organisation she called upon Greek-Australians to visit Greece and Macedonia, especially in such times of financial austerity. 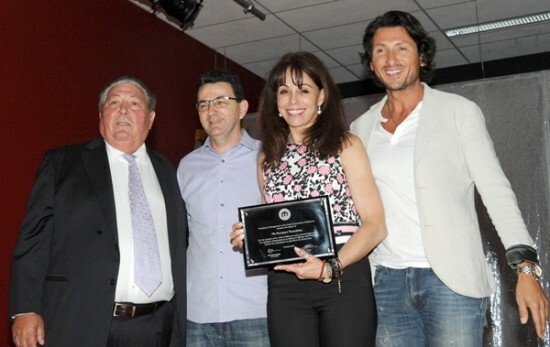 In continuation, the Greek Community’s major benefactor, Mr. Nick Andrianakos handed Ms. Patoulidou a commemorative plaque on behalf of the Community, noting that it is an honour for him to present the plaque as acknowledgment of Ms Patoulidou’s commitment to athleticism and public life. Finally, Ms. Patoulidou answered an array of questions from the audience and those present had the opportunity to take photos and casually converse with her. 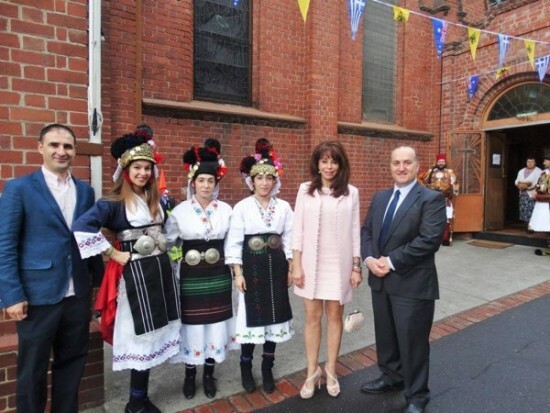 On Friday 25 March, Ms Patoulidou visited the historic church of "The Annunciation of Our Lady" with other dignitaries and partook in a luncheon organised by the Greek Community of Melbourne and the Church Committee, at Melina's rooftop restaurant, at the Greek Cultural centre. During the evening Ms Patoulidou attended a fundraising screening of «My Big Fat Greek Wedding II», at the Palace Cinema Como and spoke to the audience about her career and expressed her gratitude to the Greek community of Australia for its hospitality.